The Sydney CBD is a metropolis that is filled with high-rise corporate offices, apartment towers, luxury hotels, waterfront restaurants, shops, cafes, bars and nightspots. The city centre of Sydney also incorporates some surrounding precincts like The Rocks, Circular Quay and Darling Harbour, which are the popular tourist destinations with the city. At The Rocks you will find numerous fine dining restaurants that overlook the beautiful Sydney Harbour, Darling Harbour is filled with fashion shops, restaurants, museums and the IMAX theatre and Circular Quay provides excellent views of the Opera House and Harbour Bridge. Within the CBD itself there is also plenty of shops for you to visit, cafes where you can grab a coffee, bars where you can wet your whistle and extensive train & bus services to make getting around the city easy. 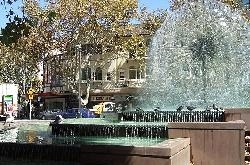 On the fringe of the Sydney city centre are a number of inner city suburbs that provide an affordable accommodation alternative to staying in the heart of the CBD. All of these suburbs have their own unique charm and character and are just a short drive, train or bus ride away from the city's major business precincts and tourist attractions. Some of the more popular inner city suburbs include Woolloomooloo, Pyrmont, Haymarket, Ultimo, Chippendale, Surry Hills, Paddington, Glebe and Waterloo. You will find lots of things to see and do in these inner city precincts, such as eating out along Oxford Street in Darlinghurst and Paddington, exploring Paddy's Market in Haymarket or trying your luck at the Star Casino in Pyrmont. 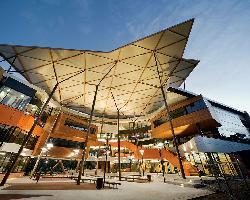 The suburb of Kings Cross in Sydney is well known for its exciting and lively nightlife entertainment. Conveniently located just a short distance to the east of the city centre Kings Cross features a wide range of restaurants and eateries, happening bars, popular nightclubs and an assortment of adult entertainment venues. There are a number of hotels and apartments of various standards in Kings Cross and also the surrounding suburbs of Potts Point, Rushcutters Bay, Darlinghurst and Elizabeth Bay. So for excitement and a fun night out remember that the lights are always on and there is always something happening in Kings Cross. 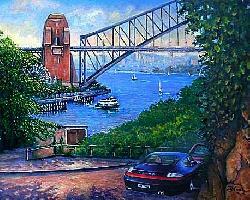 Across the Sydney Harbour Bridge are a number of Sydney's most prestigious suburbs including Milsons Points, Kirribilli, Cremorne, Manly, Mosman, Lane Cove, Ryde, Chatswood, Collaroy Beach and Narrabeen. The major business and commercial centre of the north shore is North Sydney, which is ideally positioned just over the Harbour Bridge or through the Sydney Harbour Tunnel. 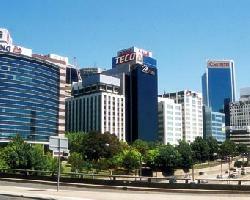 In North Sydney you will find lots of corporate offices, major businesses, shopping and plenty of places to eat. Some of the other commercial precincts on the North Shore include North Ryde, Lane Cove, Chatswood and Brookevale. There are lots of major attractions on Sydney's North Shore including great beaches, Oceanworld, Taronga Zoo, Luna Park, scenic lookouts and walking trails. 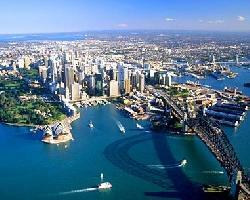 Sydney is well known for its picturesque beaches which are extremely popular with both locals and visitors to the city. There are numerous surf beaches that overlook the Pacific Ocean both north and south of the Sydney Harbour. In fact there are so many beaches that it is sometimes hard to decide which one to visit on any particular day. North of the harbour there is the Manly, Curl Curl, Dee Why, Collaroy, Narrabeen, Mona Vale, Newport, Avalon, Whale and Palm beaches. 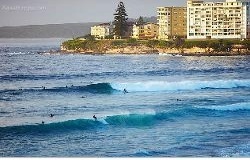 South of the harbour there is the Maroubra, Coogee, Bronte, Tamarama and Bondi Beach. All of these Sydney beaches have beautiful white sand, good surfing waves and a range of facilities nearby to ensure that you have a relaxing day out. The most popular of all the beaches is Bondi and Manly Beach, which both are surrounded by cosmopolitan cafes, trendy bars and quality restaurants. 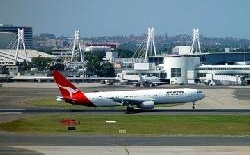 The Sydney Airport is conveniently positioned only a short 20 minute drive or short train trip south from the Sydney CBD. It is located in the suburb of Mascot and is an extremely busy airport that has the domestic and international terminals separate from each other. Mascot and the surrounding suburbs of Arncliffe, Sydenham, St Peters and Beaconsfield have a wide range of accommodation options available to suit the needs of international and interstate holiday makers, as well as corporate business travellers who need to catch an early morning or late evening flight. Sydney Harbour is an extensive waterway that includes lots of peaceful bays which provide the backdrop to some of the city's most exclusive suburbs. When you wake up in the morning to the beautiful sight of the sun rising over Sydney Harbour you will soon realise why these harbourside suburbs are so well sought after. Places such as Vaucluse, Rose Bay, Double Bay, Neutral Bay, Kirribilli, Potts Point, Elizabeth Bay, Milsons Point, Balmain and Drummoyne are just some of the suburbs that command great views across the harbour waters. Many of these suburbs include luxury hotels and serviced apartments where you can stay and get a taste of what it feels like to live the high life in Sydney. Sydney itself stretches right out west to the foothills of the Blue Mountains. 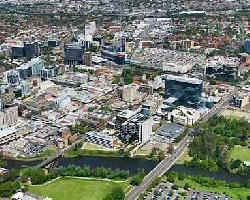 This region can easily be reached from the city centre taking the M4 Western Distributor and Motorway. The major commercial and business city of Parramatta is basically the beginning of Western Sydney and the region then runs right out past Prospect, Blacktown, Mount Druitt and St Marys to Penrith. The entire region of western Sydney is constantly growing and is made up of a diverse range of residential, commercial and recreational areas. Around this region you will find the University of Western Sydney campuses, the Eastern Creek International Raceway and the Rosehill Gardens Racecourse. The southern part of Sydney is situated around Botany Bay and includes such suburbs as Hurstville, Ramsgate, Sylvania, Miranda and Cronulla. A popular place to visit in the southern Sydney region is the Royal National Park which has plenty of bushwalking trails, camping grounds, picnic areas, lookouts, fascinating plants and native animals. In Miranda the Westfield shopping centre is the main retail precinct for the area and the Cronulla surf beach is a popular place for family picnics, surfing and just generally relaxing in the sun. 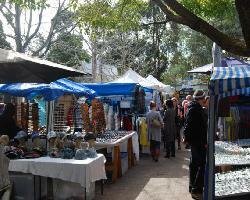 The south west of Sydney is an ever-expanding district and a major commericial precinct that services Sydney. This is because the area is well connected by rail and road Canberra, Melbourne and rural New South Wales via the Hume Highway. There a lots of new housing estates popping up across the south west all the time, however the main commercial centre in the area are Campbelltown, Camden, Liverpool and Moorebank. Located in the south west of Sydney is the Warwick Farm racecourse, Bankstown airport, a number of golf courses and the University of Sydney Camden and farms campuses. The most famous attraction in the city is the Sydney Opera House, which is located on the waterfront at Circular Quay. The Sydney Harbour Bridgeruns from North Sydney to the CBD and tourists can walk along it or even take a guided climb to the top of it. Perched high on Sydney's North Shore overlooking the harbour Taronga Zoo is filled with a range of exciting animal exhibits. Situated in Milsons Point overlooking beautiful Lavender Bay the family friendly rides of Luna Park will suit kids of all ages. Circular Quay is the main transport hub of the city and an excellent place to watch the street entertainers and have a relaxing lunch overlooking Sydney Harbour. Located just to the west of the city Darling Harbour is full of shops, restaurants, cafes, museums and Star City Casino. There are 2 Sydney Aquariums, one located in Darling Harbour and Oceanworld which is situated in Manly. 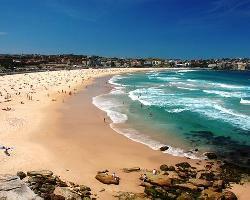 Spend a relaxing day soaking up the sun at Bondi Beach. Get a marvellous view of Sydney from the top of the Centre Point Tower. Enjoy a delicious meal at The Rocks, which is on the waterfront near Circular Quay. Take a peaceful stroll around the Royal Botanic Gardens. Sample the night time entertainment that is on offer in Sydney's tourist playground of Kings Cross. Play a round of golf at some amazing courses including Royal Sydney, Eastlake, The Australian and The Lakes golf clubs. Ideally located in the heart of Chinatown Paddy's Market is a historic building that provides shoppers with everything that they will need during their stay in Sydney. The retail stores and boutique fashion shops in the Harbourside shopping centre in Darling Harbour are a must visit for people who love to shop. Situated in Chatswood, the retail heart of Sydney's north shore, the Westfield Shopping Centre has a huge variety of shops all under the one roof. Located right in the heart of the CBD the Pitt Street Mall has a range of major department stores, speciality shops, boutiques and arcades for you to explore. Parramatta in Sydney's west is a main commercial precinct and the Westfield shopping centre in the heart of Parramatta is a great place to spend the day searching for bargains. The Sydney Cricket Ground (SCG), which is located in Paddington just 4kms south east of the CBD. ANZ Stadium situated at Homebush which is 15kms west of the Sydney CBD. Sydney Olympic Park including the Sydney showgrounds, aquatic, athletic, hockey and tennis centres are also situated at Homebush. Royal Randwick Racecourse is located 6kms south east of the city centre.